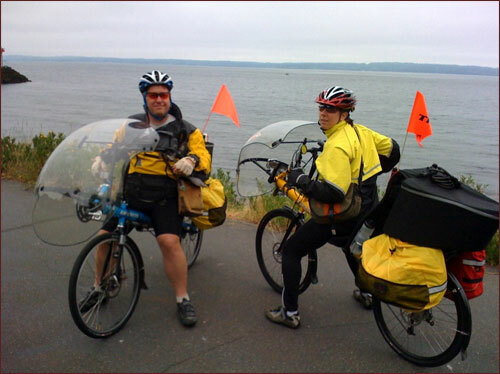 In Summer 2008, my wife Mary and I left Seattle on a cross-country bicycle trip. After a week and 280 miles, Mary decided she'd had enough, and I went on alone, eventually making it as far as Pueblo, Colorado before running out of time. We kept a combined trip blog. This link will take you to our trip blog, which has its own website.